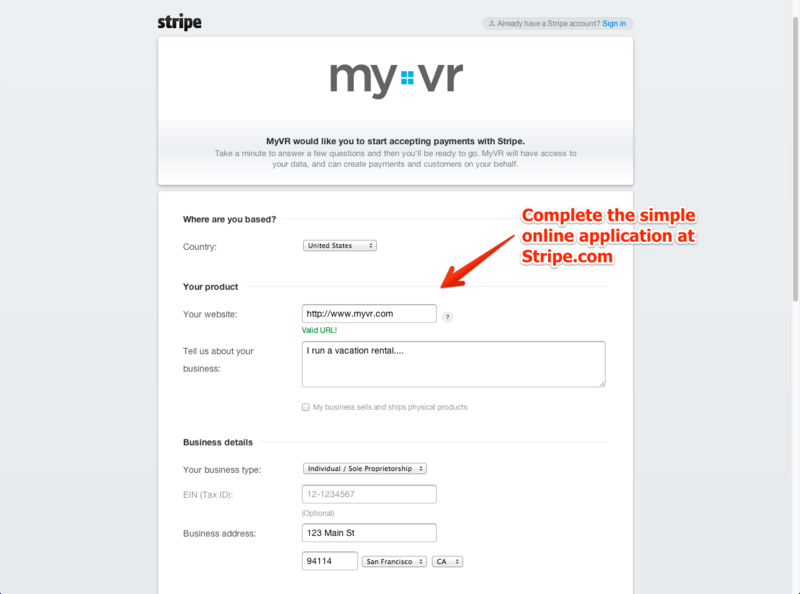 MyVR has teamed up with Stripe to easily accept online credit card payments directly from renters. Stripe is an easy-to-use merchant payment system that MyVR has teamed up with to process payments from renters online.  Our partnership allows MyVR to access payment history and provide help with payment support issues. When using Stripe with MyVR, renters will never see that Stripe is processing the payments; rather, it will appear as though your business is processing them independently. Navigate to Setup > Booking & Payments > Merchant Accounts and click on the Add Merchant Account button. After clicking "Add Merchant Account", an Add Stripe Merchant Account window will pop up. Name the account (or if a Stripe account already exists, enter the name of the existing account) and click the Connect With Stripe button. 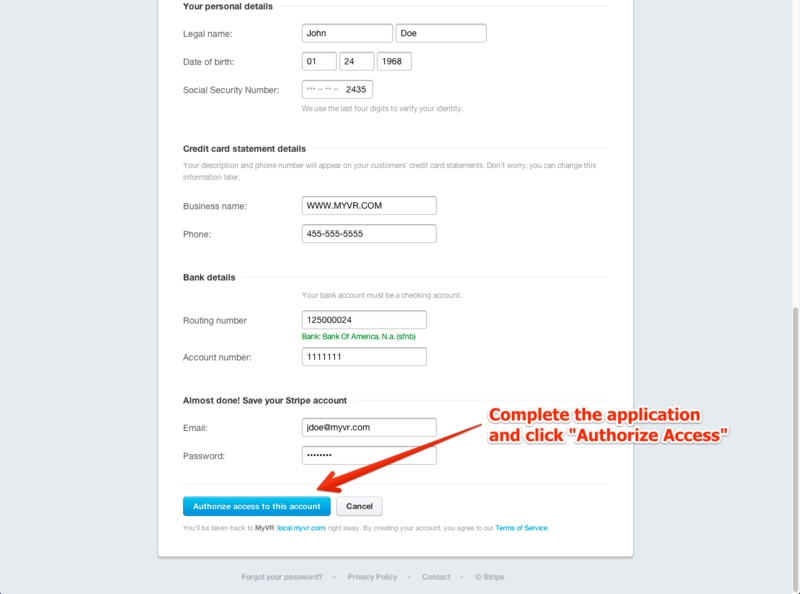 From Stripe's website, complete the signup process by filling out a simple application form. Fill out the simple application and click on the "Authorize access to this account" button at the bottom. After completing the application at Stripe, automatically return back to the MyVR account and the new Stripe connection will be activated. The status of the Stripe account will be "Approved" and the account will be ready to begin taking payments from renters through MyVR! Multiple Stripe accounts can be added as necessary for the business. Stripe accounts may be established so that deposits can be made to several different bank accounts for different properties or property groups. Note: When multiple Stripe accounts are set up and connected, one will be the default account, which is the account that will always be associated with a property if one is not manually designated. Create a new booking policy for each merchant/bank account. For any property that should not be utilizing the default booking policy, assign a different booking policy. Assign a new booking policy to a property by going to Properties > Properties > [select property to edit] > Booking & Payment.